Over the last 40-some years I’ve visited dozens of federal Wilderness areas and probably twice as many more landscapes in the American West classified as “wilderness study areas.” I’ve seen them as a hiker, angler, backcountry ranger, firefighter, father, husband, ecologist with a college degree, photographer and student of history. Many of those lands which weren’t given the banner of protection WSAs enjoy have been heavily logged, roaded, mined, drilled for oil and gas, inundated by a variety of motorized uses (including ATVs and snowmobiles), been used as grazing areas for private cattle herds, and otherwise been left, at best, as half-wild or nominally so. Even some of the WSAs, due to lack of adequate safeguarding from the Forest Service and Bureau of Land Management, have also been invaded by illegal trespass from motorized users and mountain bikers. In some cases, due to court cases which forced those agencies to actually uphold the law, trails, illegally blazed, have been closed. All of this leads me to write about a special place of wild country in the Greater Yellowstone Ecosystem that is spectacular but strangely unprotected. The Gallatin Mountain Range that lies south of Bozeman, Montana is the largest unprotected wildlands in the northern Greater Yellowstone. The Gallatins are highly scenic with glaciated cirques, grassy meadows, and subalpine lakes. They’re kind of like a mini stretch of the Wind Rivers but extending from Gallatin Valley out Bozeman’s back door and extending all the way to Yellowstone National Park. Biologically the massif of the Gallatins and its foothills represent one of the more diverse and important areas in the entire ecosystem. The range is critical habitat for grizzly bears, lynx, wolverines, bighorn sheep, and other rarer mammals, as confirmed by a study conducted by the Craighead Institute. In addition, the lower elevations sustain thousands of wintering elk and encompass part of an important migration corridor. Indeed, the Montana Natural Heritage Program lists 18 birds, eight mammals, three fish, three amphibians, and one reptile as “at risk” or declining in numbers, demonstrating the need to provide the strongest protection possible for this area. A debate exists among conservation advocates over the best way to protect the rich biological heritage of this landscape. Wilderness designation is the “gold standard” for land protection. By permanently removing designated wilderness from commercial development like logging, mining, and oil and gas, as well as mechanical access, the federal Wilderness Act is the best strategy for long-term protection of any landscape. Contrary to the misleading rhetoric, wilderness does not “lock people out of public lands;” rather it protects wildland characteristics that would otherwise be diminished or overrun by human activities which have compromised the vast majority of the American landscape. Lands of this caliber, which once defined the true wild West, are all that remain. And I should note here, if it isn’t obvious, that protected wildlands are what sets Greater Yellowstone apart, have been the source of clean drinking water, and are central to the reason why people want to be here. 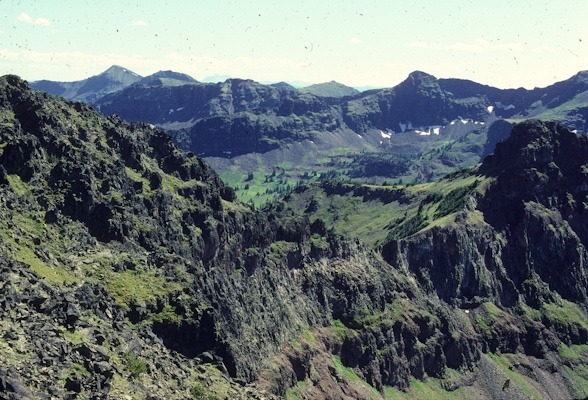 Since 1977, 155,000 acres in Gallatins have been given partial protection via Hyalite-Buffalo Horn-Porcupine-Wilderness Study Area (HBHP) in the Montana Wilderness Study Act S. 393 legislation. The HBHP is about two-thirds the size of Montana’s vaunted Scapegoat Wilderness Area—155,000 acres versus 239,936 acres. 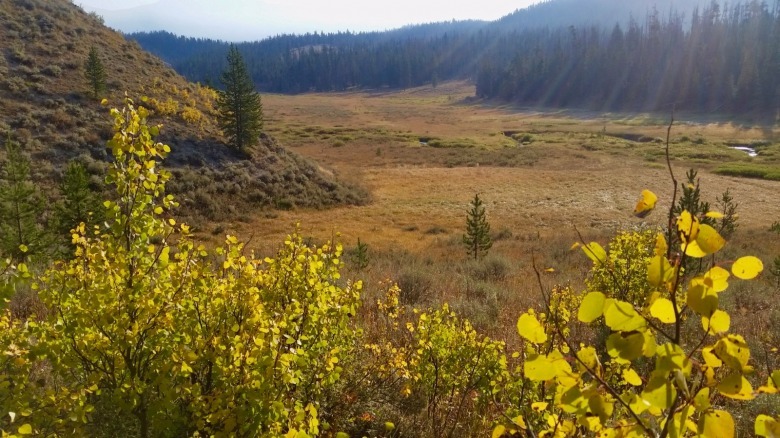 With the Custer-Gallatin National Forest Plan Revision, there is an opportunity to permanently protect this critical landscape under the auspices of the Wilderness Act. It is an opportunity made manifest by hard work that went into a series of land swaps in the 1990s that traded out checkerboarded lands given to the railroad in the 19th-century in exchange for other tracts, some of which were heavily logged. My point is that through public land consolidation in the Gallatins, true biological connectivity is no longer hampered by fragmented ownership. The question now is whether we fulfill the promise or settle for a lesser option. A collaborative called the Gallatin Forest Partnership (GFP) is calling for partial protection of a little more than 100,000 acres of the 230,000 acres that could be designated wilderness in the range. My major disappointment is that it lacks the kind of vision carried forward by people like U.S. Sen. Lee Metcalf who was instrumental in getting an area, the Absaroka-Beartooth Wilderness, protected. No one today curses Metcalf for thinking big and the A-B Wilderness is a treasured part of our Montana heritage. The Gallatin Forest Partnership proposal is not as good as wilderness designation in terms of its ability to protect the mountain range’s outstanding biological/ecological values. The architects of that proposal make a good start in addressing the long-term protection of the range, but it leaves two critical areas out of the wilderness proposal: Buffalo Horn-Porcupine and West Pine. Their plan calls for designation of the Buffalo Horn Porcupine Area and West Pine Creek areas as “Wildlife Management Areas.” Among the problems with such designations is that unlike wilderness which is time-tested and legally tested, there is no legal precedent for such designation. Though their proposal lays out specific limits on some recreational use, we do not have the assurances that these can be and will be enforced. Just as WSAs themselves were not safeguarded from illegal trespass and the Forest Service in parts of the West has only enforced the law when compelled to do in court by environmentalists, we have no assurance that “wildlife management areas” (WMAs) will fare any better. Citizens in the future will thank us for being courageous just as we are grateful to those of earlier generations who made the case for national parks and forests, rallied citizens around it, and prevailed because it was the right thing to do. Hunters and anglers have a huge stake in this too. The Buffalo Horn and Porcupine area, adjacent to Yellowstone, is a very important elk migratory corridor and elk winter range. Other indications of its character is the presence of grizzlies, bighorn sheep, wolves, and wolverines. Someday, it could also be home to mountain bison. The second area is West Pine which shares the northern edge of the range with the highly impacted Hyalite area. Anyone who has visited Hyalite in recent years understands how this multiple use area has become a crowded sacrifice zone to recreation. West Pine offers the only wildlife migration corridor that could effectively connect the Gallatin Range to the Bridger Range to the north. 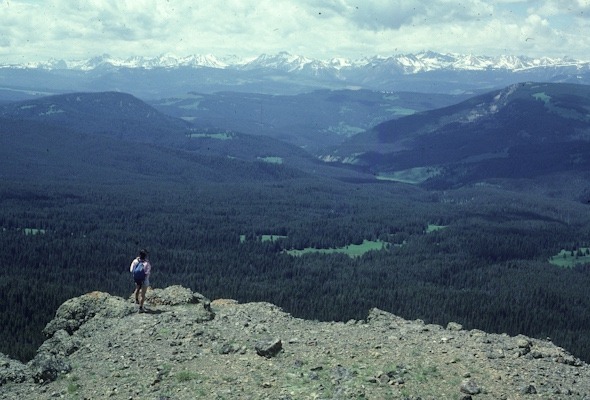 Given the high recreational use of the Hyalite area, reducing mass recreational impacts in West Pine is critical if a connection route between the Gallatins and Bridgers is to be maintained. If for no other reason West Pine should be protected as designated wilderness as well. 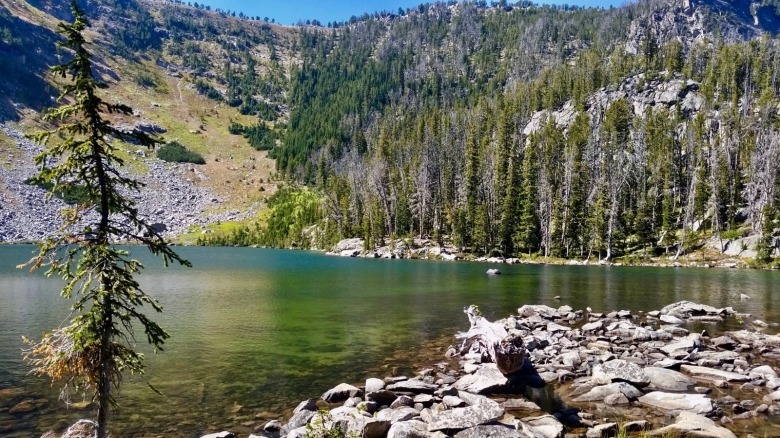 In the northern portion of the Gallatin Range, the Gallatin Forest Partnership proposes a “Hyalite Watershed Protection and Recreation Area” that would essentially make industrial-strength recreation the primary use of this area. Given the existing heavy roading that already exists in the drainage and its proximity to Bozeman, and the Hyalite Reservoir which serves as the city’s water supply, there is less opportunity for wilderness designation. Still a few drainages like South Cottonwood, and other roadless lands surrounding Emerald Lake, Divide Peak and Maid of the Mist that could and should be designated wilderness. Most of the opposition for protecting this entire roadless area as wilderness comes from mountain bikers as well as some motorized groups. I have spoken with countless mountain bikers and many seem completely unaware of the correlation between land protection and the persistence of solitude-needing species. Moreover, across the forest and throughout the Greater Yellowstone Ecosystem mountain bikers and motorized users already have thousands of miles to ride on public lands and a large number of places if you include the road and land trail systems in the valleys. Elk and grizzlies have fewer options where they can go. In the past, most of the threats to the Gallatin Range ecological integrity came from logging. But most the range’s accessible merchantable timber has already been removed. As noted earlier, checkerboard land ownership resulting from old railroad grants, particularly in the Buffalo Horn Porcupine area, hindered uniform management. 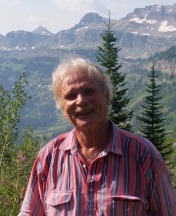 However, this was resolved with land trades that enabled the creation of Big Sky Resort. It was the viewpoint of conservationists at the time of these trades that Big Sky would be a “sacrifice” area though few would have predicted what a sprawling sacrifice it has become. It was always part of the original deal that the Buffalo Horn-Porcupine area would be the “safe” zone eventually to be protected as wilderness. That assumption of landscape protection by wilderness designation, in my opinion and that of many others, is being undermined by the Gallatin Forest Partnership’s proposal for “Wildlife Management Areas” that would allow, among other things, motorized recreation and mountain biking. Their wildlife management proposal calls for no “commercial logging” but the Forest Service almost never logs today for “commercial” production; rather “forest health” and “fire preventions” are the dubious reasons given for logging, and this is not expressly prohibited by the Gallatin Forest Partnership agreement. Often we hear the argument that if you question the impacts of a given outdoor activity then you are opposed in general to that activity. I recreate in a variety of ways but some activities are more appropriate to a given setting than others. The biggest problem, concerning ongoing threats to secure wildlife habitat in the Gallatins, comes from increased mountain biking and other recreational uses. Many mountain bikers only support land protection conditionally, as in if it doesn’t benefit them directly or meet their immediate needs, they oppose it. Using this kind of attitude, Greater Yellowstone as we know it today would not exist. There are many places I probably will never see, or use, but I value the fact they are protected. As a biologist who knows both the scientific literature and many of the leading wildlife conservation experts in the West, I can tell you there is overwhelming evidence that all recreational use—yes, even hiking and skiing— can negatively impact wildlife. However, not all recreational use is equal. Mechanical access, including mountain biking, can increase displacement and stress for sensitive species more so than slow-moving hikers. Speed is an issue; so is attentiveness on the part of riders. When you are barreling down the trail at high speed you aren’t noticing wildlife you might be displacing or having to avert; you are keeping your eyes on the ground to insure you don’t run into a tree, another person, or collide with a boulder. That kind of thrill riding can be done anywhere else. It does not need to happen in the last best places of habitat refugia for wildlife. You can read a number of scientific reference points about wildlife disturbance at the end of this essay. I encourage mountain bikers to honestly reflect on their own impacts, especially as their numbers continue to grow. We as citizens can do better than the Gallatin Forest Partnership and we must insist upon it. This is our legacy. Just as earlier generations paid forward the benefits of environmental protection we enjoy, so too must we by not settling for less. Conservation is not a product of the past. It is about each generation taking part in its reaffirmation. I invite those with the Gallatin Forest Partnership to craft a better, more inspirational vision. Think like Bob Marshall, Olaus and Margaret Murie and Lee Metcalf. If citizens wish to protect the biological diversity and incredible wildlife attributes of the Gallatin Range, designation of this entire roadless area as wilderness is the only logical choice. Other proposals are only halfway measures that will result in half-way protection compared to wilderness designation. Wildlife will be grateful. 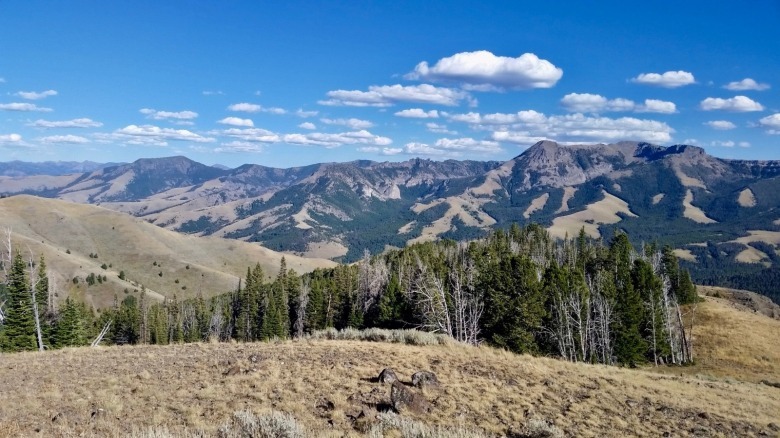 If we can’t protect the most biologically critical lands in the Gallatin Range, with so much of Greater Yellowstone’s wildness at stake, then where? 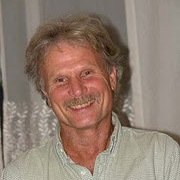 EDITOR’S NOTE: George Wuerthner shared the following reference points which he says speak to the effects of outdoor recreation on wildlife. We are sharing it verbatim as he wrote it. You can read Craighead’s detailed research paper here: and much of what follows is drawn from his report. In a literature review for Mount Spokane State Park by Pacific Biodiversity Institute (Snetsinger and White 2009) impacts were summarized: outdoor recreation was found to be the 2nd leading cause of decline of U.S. threatened and endangered species on public lands (Losos et al. 1995) and 4th leading cause across all ownerships (Czech et al. 2000). As recreational use of public lands continues to grow, there is increasing concern over the trade-offs that may exist between recreation and protection of wildlife (Reed and Merenlender 2008). Displacement of elk (avoidance of habitat near trails) can extend up to 500 meters (550 yards) from a hiker, beyond 750 meters (820 yards) from horseback riders, and beyond 1500 meters (1,640 yards) from mountain bike and ATV riders according to some studies, while other studies arrived at different distances. Most studies agree however that hikers create the least disturbance, followed by horses, mountain bikes, motorcycles and ATV/ORVs. Roads have been shown to be the most important variable correlating human influence on grizzly habitat. Trails with motorized traffic have effects on wildlife that are similar to roads. And a growing body of evidence suggests that non-motorized trail use by mountain bikers also displaces grizzlies. Many wildlife species will avoid trails even when users are not present. “Elk displayed avoidance of the trail even when no ATV’s or other users were present (Wisdom et al. 2004)” In other words increased recreational use will eliminate important habitat. This often causes a permanent loss of habitat as animals from elk to grizzlies tend to avoid heavily used trails. Another study found that elk increased their travel time during most disturbance, which reduced time spent feeding or resting. Elk travel time was highest during ATV exposure, followed by exposure to mountain biking, hiking, and horseback riding. Elk reacted negatively to ATV traffic at distances up to 1,000 meters and had a high probability of fleeing if they were near an ATV trail when ATVs were detected. It appeared that elk would habituate to horseback riding, but not to mountain biking. Some mountain bike supporters assert that scientific studies are inconclusive about recreational impacts. A literature review in 2009 reviewed impacts on 21 wildlife species in Mount Spokane State Park in Washington and documented studies that found impacts on elk and wolverine among other species (Snetsinger and White 2009). The mere presence of trails negatively impacts 14 of the 21 species, and areas of concentrated recreation/recreational development negatively impacted an additional seven species. Mace and Waller (1998) offer another insight on how recreation can affect bears when they studied recreational impacts on bears in the Jewel Basin hiking area east of Kalispell, Montana. They concluded that bear use of habitat increased with greater distance from trails and lakes with campsites. Sounds good to me, although I suspect this administration is not interested any more wilderness areas.